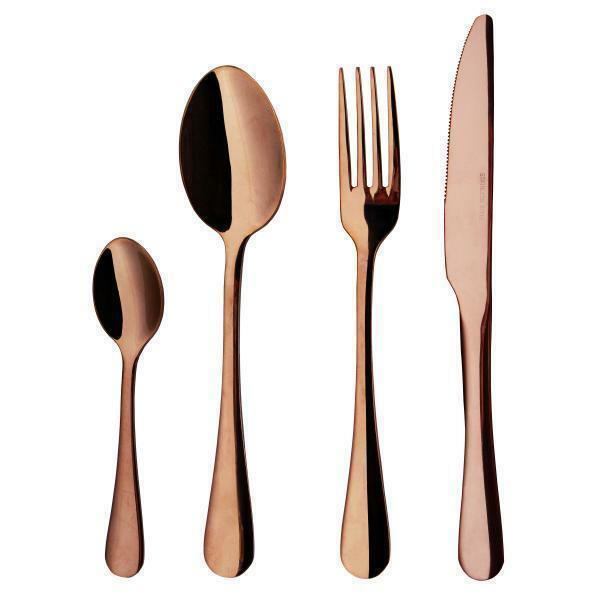 Cutlery Flatware Set | PVD Rose Gold | KEJ-454R(KEJ-454R) - Keywood International Inc. It is PVD rose gold finish and made from high-quality stainless steel. Suitable for both luxury and everyday use. Timeless, elegant design with rose gold coloring for fine lustre.